My last textured hand woven rug using Pendleton Wool Selvages in a fun color mix is now available for purchase through our website. 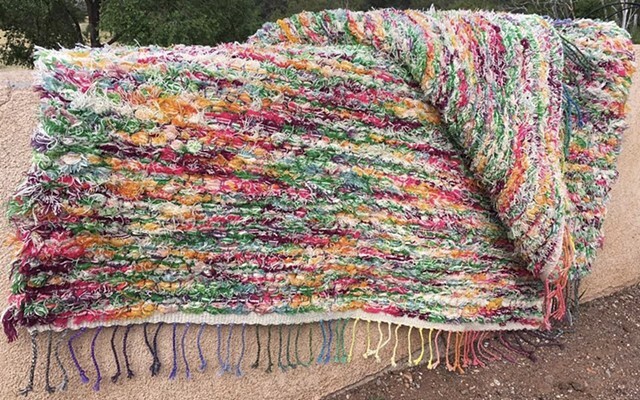 The warp used is New Mexico Churro wool which we hand dyed for this loom tie up making this a 100% wool area rug. This was a fun weaving project for me during our time living in New Mexico. If you love color, you will certainly enjoy this unique piece!